Catherine Mary Dichmont was born in South Africa and completed her BSc and BSc Honours at the University of Capetown. She later completed her MSc at the same institution. In 2006 she was awarded her PhD from the School of Mathematics and Physics at the University of Tasmania. Cathy has a national and international reputation in stock assessment, modeling natural systems, natural resource management, shared fisheries stocks, and management strategy evaluation (MSE) and has been Principal Investigator in numerous collaborative and multi-disciplinary projects over her career. Upon completion of her BSc, she remained at the University of Capetown, working as a Research Assistant on river regulation and inter-basin transfer schemes. She later moved to the Sea Fisheries Research Institute (SFRI), working firstly as an oceanographer, then as a principal oceanographer. 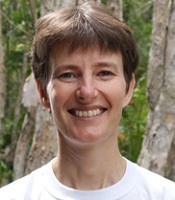 She moved to Australia in 1996 to begin work at the Southern Fisheries Centre, Queensland Department of Primary Industries at Deception Bay and joined CSIRO in 1999 as a natural resource modeller. By 2011 she had been promoted to Principal Research Scientist and Stream Leader of the Resource Use and Conservation Stream at CSIRO Marine and Atmospheric Research. She has over 20 years of experience in temperate and tropical marine ecosystems at international (South Africa, Australia, Indonesia, MoÃ§ambique, PNG), and regional levels (Benguela current off west Africa, Queensland, Northern Australia and Arafura Sea). She was a key contributor to the bioeconomic model that aided the development of the Prawn fishing industry in the Gulf of Carpentaria. Cathy is the author/co-author of 34 refereed journal papers, over 30 conference papers, one Book Chapter and over 60 technical reports/papers.